It was HOT. When I say hot, I mean, steamy, melt your brain sort of heat. I had taken a day trip from Athens to Poros, Aegina, and Hydra. The boat trip was refreshing. The breeze and sea spray felt great. Once on the islands there were few places to hide from the blazing sun and the streets away from the main ports were so narrow at times that there were no breezes to be found. By the time I was just one block into the mazes of streets, I was pretty soaked. But the streets were so pretty and intricate, that I son found myself wandering in and around them with no more cares about the heat. At one point I found a spot of shade. It was at this moment I remembered that I was uncomfortably hot and I stopped to mop my face off and stand in the shade for a minute all the while fanning myself with a brochure I had stuffed into my purse earlier on the boat. 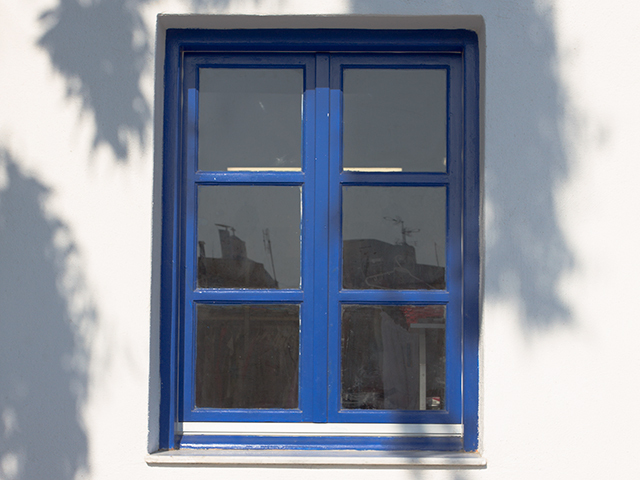 In front of me was this white wall with the blue framed window around it. I wondered what went on in there, on the other side of that glass. I could see what looked like a clothes hanger but couldn’t really make out anything else. The glare of the bright light of the day didn’t leave my eyes equipped to see into the space beyond the window, but I enjoyed the moments of wondering that followed. That sense of wonder was what made me take this picture. I didn’t know if the picture itself would be a worthwhile one to anyone else, but the moment was one I wanted to remember for myself. Did you know that Leonard Cohen lived on Hydra for a bit?